What if Kong won the battle? A project about to take off..! Eric Herenguel is flying you to a whole new world, please fasten your seatbelts! Here we are in 1947, 14 years after the victory of Kong. 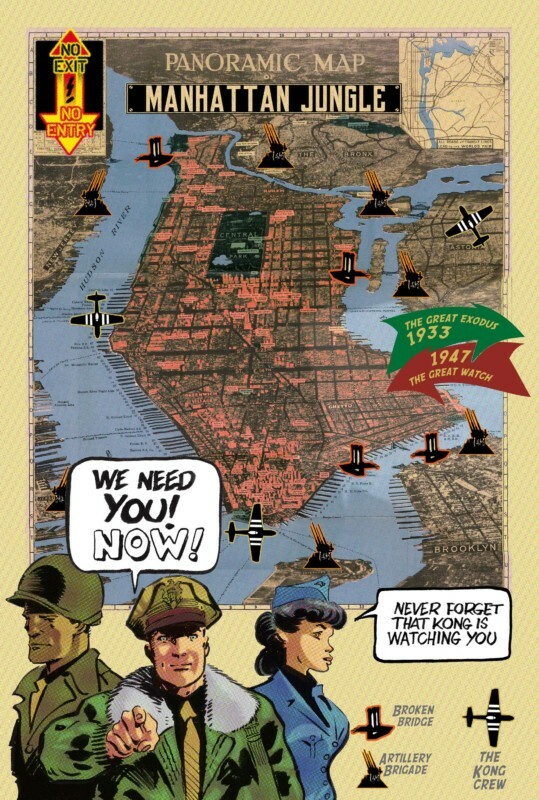 Manhattan has been evacuated and the island has become a no-go zone, closely watched over by the Kong Crew! These are the adventures of this elite squadron. Lift and thrust: here’s how my dad used to summarize aviation. Ever since I was a child, I heard stories about planes, and the pilots were legion in my family. 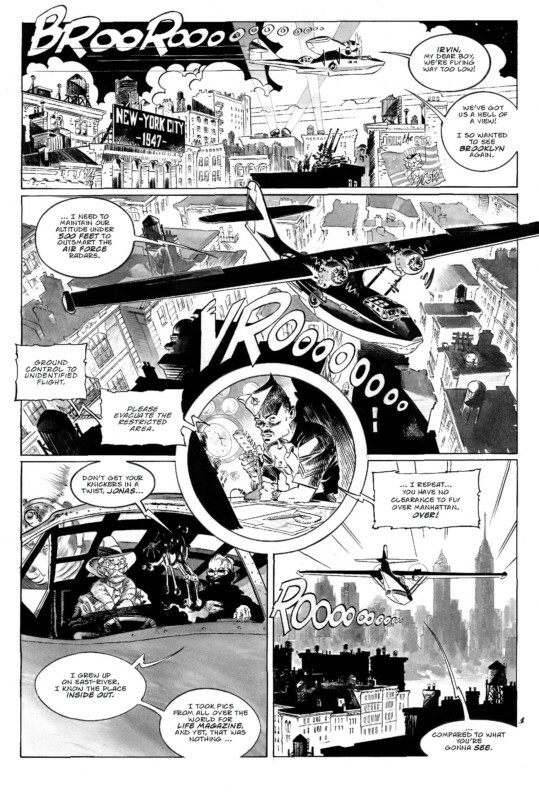 Later, while I was working as a comic artist, I asked myself if I could write a story about planes and pilots, and something became clear very quickly: drawing planes is only worth it if you have a good pilot’s story. My dad always used to overdo when telling us about landing on an aircraft carrier in crosswind conditions, in order to add more context. And that’s the big thing: additions and context. A good story is told by the pilot, not its plane! 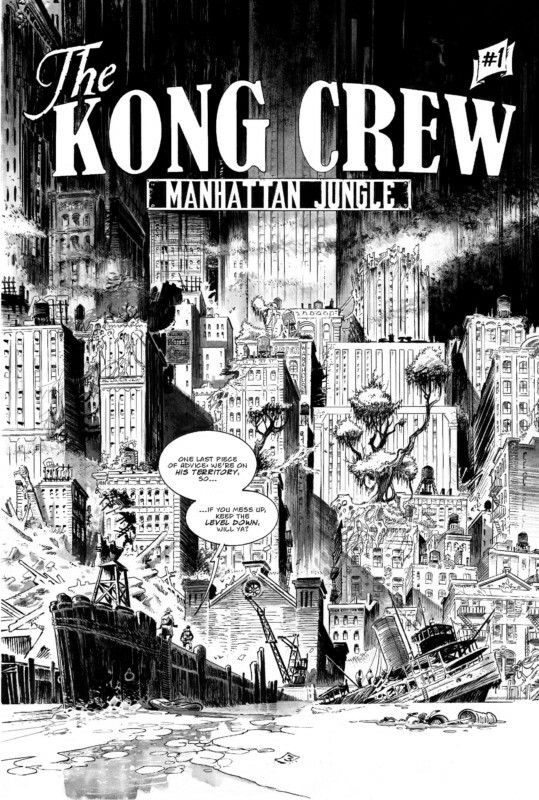 A long time ago, I promised Jean-Christophe Caurette that I would provide him with an original story for his brand-new publishing house, but I had to wait until December 2015 to have the first draft of “The Kong Crew” come to me. I say, “come to me”, because this story really came to me in one night. In a dream. I saw everything. Just like in a movie. Right up to the title. And, surprisingly, my dream didn’t disappear in the haze of the morning, as dreams usually do: it was still crystal clear. Let me tell you that I did just like my father: I added a lot of details for the atmosphere and the context and, today, I’m lucky enough to publish a little bit of my dream into a comic. So, you might ask: what does it have to do with lift and thrust? Well, I would say that they are the equivalent to the author and the publisher: one lifts a project, the other one thrusts it, pushes it, and if everything is OK, it should take off…! Welcome to the Manhattan Jungle! 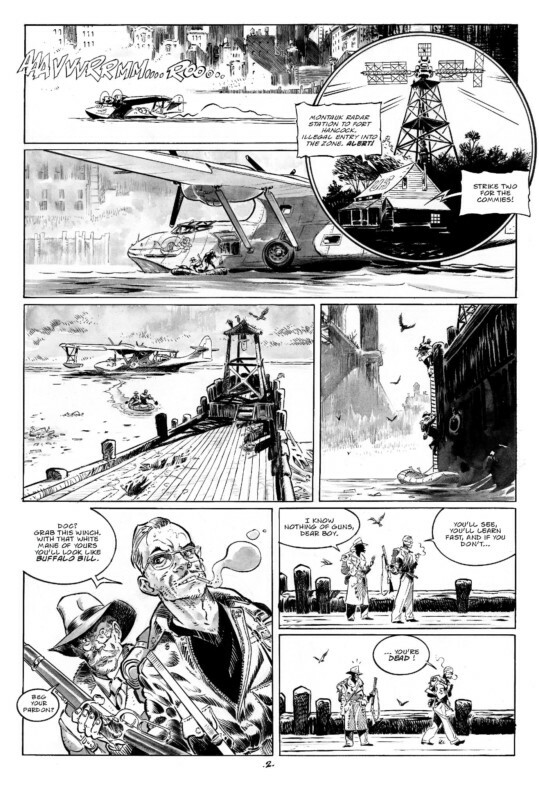 Born in France in 1966, Eric Herenguel is a comic artist well known by the European public. He created several sets of comic books, such as Krän, Trelawnay, or Lune d’Argent sur Providence. As comfortable in the “science fiction western” universe as he’s in the steampunk universes, as good with off-the-wall humor as he’s with heroic fantasy, he also worked on various TV cartoons for children, such as Wakfu, for Ankama studios. 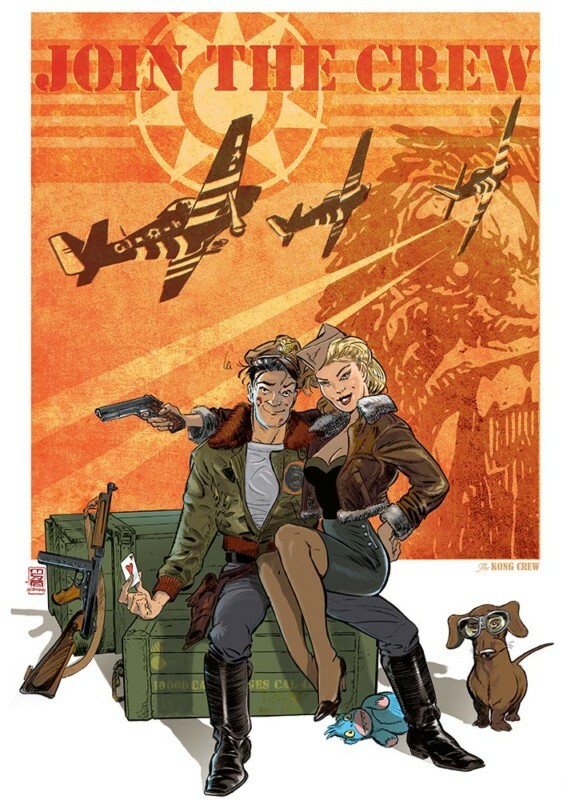 A huge fan of Dave Stevens, Milton Caniff, Frank Robbins, Frank Frazetta, Al Williamson, Will Eisner and (of course!) 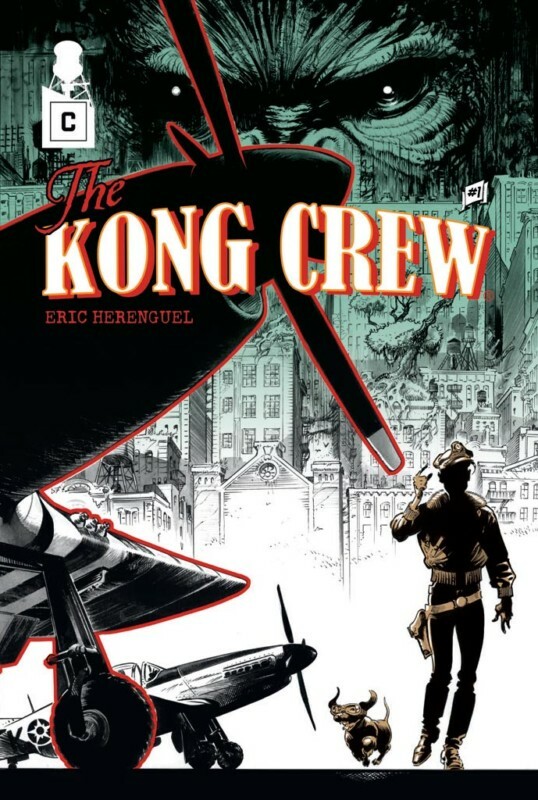 Mark Schultz, Eric Hérenguel wants, through The Kong Crew, to pay homage to the American artists of the golden age that inspired him ever since he was a kid. 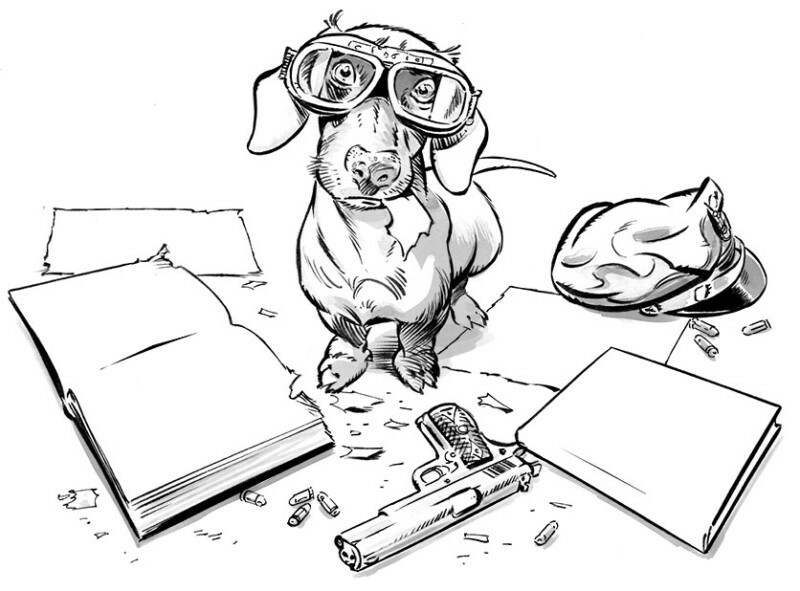 And on top of all of that, there’s also a dachshund!